Verizon is America’s ultimate internet service provider. It has always been a passion for the company to create and amply make use of technologies that are of great benefit to its consumers. Verizon offers the fastest internet connection available in the country at a very reasonable price. Imagine having an internet connection with download speeds as high as 300 Mbps and upload speeds as high as 65 Mpbs with FiOS QuantumSM Internet (where available). Not only internet, the telecommunications company has much more to offer including FiOS® TV, Internet and Digital Voice. All customers need to do is choose the best Verizon offer for them. Verizon FiOS Internet boasts of one of the fastest connections in the country. It utilizes the most improved fiber-optic technology that brings reliable internet to a neighborhood. When available,Verizon FiOS customers can use multiple devices at the same time without even draining the internet connection speed. All devices can be simultaneously connected to the internet without any worries. FiOS Internet subscribers can upload pictures and videos, play online games, stream movies and chat without any hassle. With FiOS QuantumSM Internet one will do uploads in a flash. Play virtually lag free online gaming which is gives every avid gamer practically incomparable experience. In addition, streaming and downloading are done at lightning speeds. The Verizon FiOS TV also offers the greatest entertainment experience. Brilliant picture quality is delivered in uncompressed high definition with reliability that can withstand any weather condition. With Verizon FiOS TV there are lots of channels to choose from. Over 575 all digital channels, 160+ HD channels and 46 commercial-free music channels are available in Verizon’s various plans. FiOS TV offers more premium movie, sports and children’s channels than any other cable provider. One can just imagine having all of those; it would make for a jam-packed entertainment at home. Verizon FiOS Digital Voice is the most reliable phone service being offered in the country. With the utilization of fiber-optic technology customers can expect nothing but the best. FiOS Digital Voice provides the reliability of a 100% fiber-optic network. All intelligent calling features can be accessed online giving it a great advantage. Get unlimited nationwide calling plus over 20 features at no extra charge. Most of the features possessed by the FiOS Digital Voice are designed for the customer’s privacy, convenience and control. You have your choice of Triple or Double bundles with Verizon FiOS. Enjoy the Good Triple: FiOS TV Select HD, FiOS Internet 50/25 Mbps and FiOS Digital Voice as low as $89.99/mo. * (Plus taxes, fees, equip. charges & RSN fee) , for 2 years with a 2 year agreement. Upgrade to the Better Triple Play consisting of FiOS Extreme TV HD, FiOS Internet 50/25 Mbps and FiOS Digital Voice at just $114.99/mo. ** (Plus taxes, fees, equip. charges & RSN fee) , for 2 years with a 2 year agreement. Double bundle savings are realized with $10.00/ month off for 24 months starting at just $79.99/mo. *** (Plus taxes, fees, equip. charges & RSN fee) for 2 years with a 2 year agreement. No matter what area, business, residential, or personal, Verizon can be trusted on to offer affordable and innovative solutions. Communication is made easier with Verizon. *Limited-time offer for new FiOS TV and Internet residential customers subscribing to a FiOS Triple Play bundle. Promotional rate available via $15 bill credit for first 24 months only; beginning month 25 standard rates apply. Price guarantee applies to base monthly rate only; excludes optional services and equipment charges. Rate may increase after 24 months. 2 yr. agreement required. Beginning month 2, up to $230 early termination fee (w/ $10/mo. prorated reduction) applies. Up to $69.99 activation, $2.42 Regional Sports Network Fee, & other fees, taxes, equipment charges & terms apply. Subject to credit approval & may require a deposit. FiOS available in select areas. Actual speeds may vary. Battery backup for standard fiber-based voice service, FiOS Digital Voice & E911 (but not other voice services) for up to 8 hours. © 2013 Verizon. **Limited-time offer for new FiOS TV and Internet residential customers subscribing to a FiOS Triple Play bundle. Promotional rate available via $25 bill credit for first 24 months only; beginning month 25 standard rates apply. Price guarantee applies to base monthly rate only; excludes optional services and equipment charges. Rate may increase after 24 months. 2 yr. agreement required. Beginning month 2, up to $230 early termination fee (w/ $10/mo. prorated reduction) applies. Up to $69.99 activation, $2.42 Regional Sports Network Fee, & other fees, taxes, equipment charges & terms apply. Subject to credit approval & may require a deposit. FiOS and FiOS Digital Voice available in select areas. Actual speeds may vary. Battery backup for standard fiber-based voice service, FiOS Digital Voice & E911 (but not other voice services) for up to 8 hours. © 2013 Verizon. Limited-time offer for new FiOS TV or Internet residential customers subscribing to a FiOS Double Play bundle. Promotional rate available via $10 bill credit for first 24 months; beginning month 25 standard rates apply. Price guarantee applies to base monthly rate only; excludes optional services and equipment charges. Rate may increase after 24 months. 2 yr. agreement req’d. Beginning month 2, up to $230 early termination fee (w/ $10/mo. prorated reduction) applies. Up to $69.99 activation, $2.42 Regional Sports Network Fee, & other fees, taxes, equipment charges & terms apply. Subject to credit approval & may require a deposit. FiOS available in select areas. Actual speeds may vary. Battery backup for standard fiber-based voice service, FiOS Digital Voice & E911 (but not other voice services) for up to 8 hours. 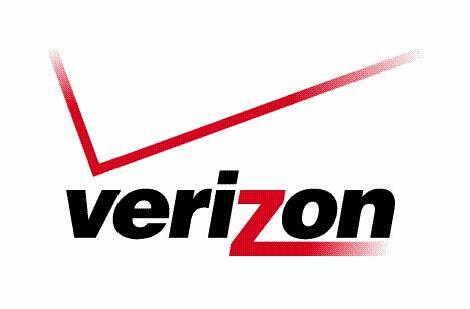 © 2013 Verizon. VERIZON LOCAL PHONE SERVICE:VERIZON FLAT RATES, LOCAL PACKAGE RATES, LOCAL PACKAGE UNLIMITED RATES, REGIONAL PACKAGE RATES AND REGIONAL PACKAGE UNLIMITED RATES: Additional charges may apply and will vary depending on your service area (e.g., extended area calling service). Taxes, fees and other charges apply. Consult the local Verizon White Pages Directory for detailed information on your regional calling area. There is no one-time charge to establish Verizon Local Package or Verizon Regional Package Unlimited. There may be a premise visit charge for installation, should it be required. You can change your service elections at any time, without any service fees. There may be additional usage charges for some of the features. Certain call types may also be excluded. All features are subject to availability and compatibility restrictions. WIRE MAINTENANCE:Verizon maintains the wire up to the connecting block as part of basic service. Wire beyond that point is the responsibility of the customer. You have the option to repair it on your own, hire someone to do it, hire Verizon at an additional charge or repairs can be covered by one of Verizon’s maintenance Plans.OUTLETS/JACKS/REWIRING:You have the option to rewire or install the jacks yourself, hire a contractor or allow Verizon to do the work at an additional cost. Contact Verizon for more details. LIFELINE:In certain areas, there is a Lifeline plan that provides assistance on basic service. You may qualify if you belong to certain programs or meet certain income requirements (i.e. Medicaid, Food Stamps, Supplemental Security Income, Low Income Home Energy Assistance Program, Federal Public Housing/Section 8 Assistance). TOLL CAP LIMITS:If Verizon is unable to verify the information submitted, a Toll Cap Limit will be added to your account for calls made to outside of your area. If you exceed $200.00 for these toll calls, your line will be blocked. Once payment is received, the block will be removed. After you have established a good payment record with Verizon for 9 consecutive months, it will be permanently removed.